When I first started to learn to read Tarot, I thought I needed to master the 10-Card Celtic Cross to be a good Tarot reader. But every time I used the popular Tarot spread, I felt completely confused and frustrated, unable to see the forest from the trees and not knowing what my reading was trying to tell me. 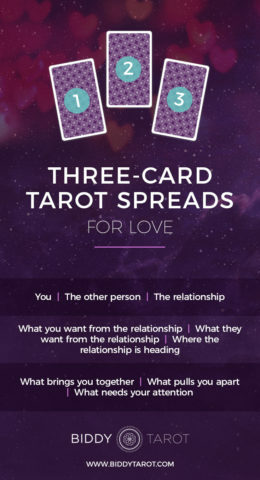 Enter the three-card Tarot spread. 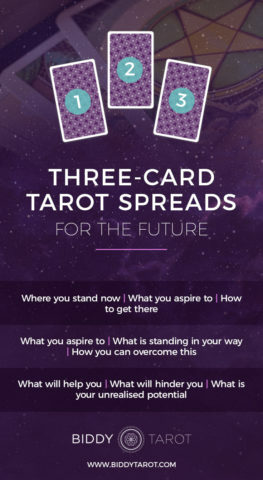 Finally – a way to quickly and accurately answer my questions, with just three Tarot cards. Sure, there are tons of fancy (and complicated) Tarot spreads that have ten, twenty, even all seventy-eight Tarot cards in them. But if you want to get to the heart of your question, then the best place to start is with a simple three-card Tarot reading. 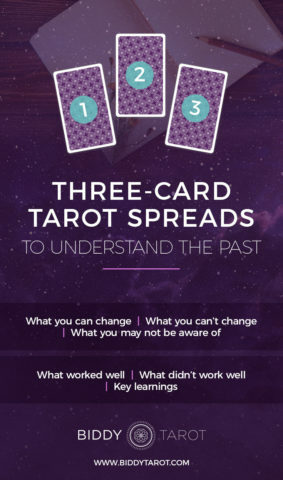 It doesn’t matter whether you are a Tarot beginner doing a reading for the first time or a seasoned professional with decades of experience – a three-card Tarot reading will give you the crystal clear insight you need. Seriously, you can get super deep with just three cards. 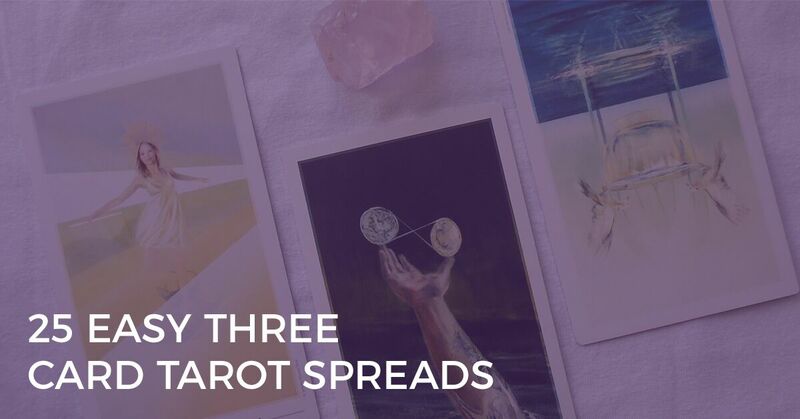 To get you started, here are 25 easy three-card Tarot spreads for you to use in your readings. 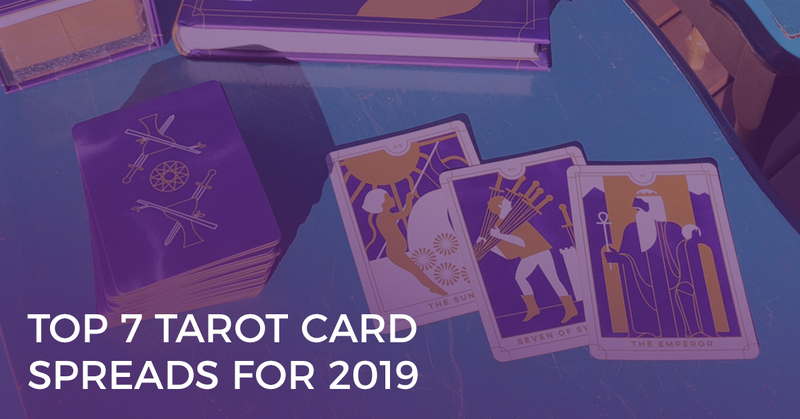 We all know that Tarot cards aren’t going to give you lottery numbers or predict exact events, but they are an incredibly useful tool for guiding you into the future you want. Read more about my feelings the Tarot’s predictive abilities here. 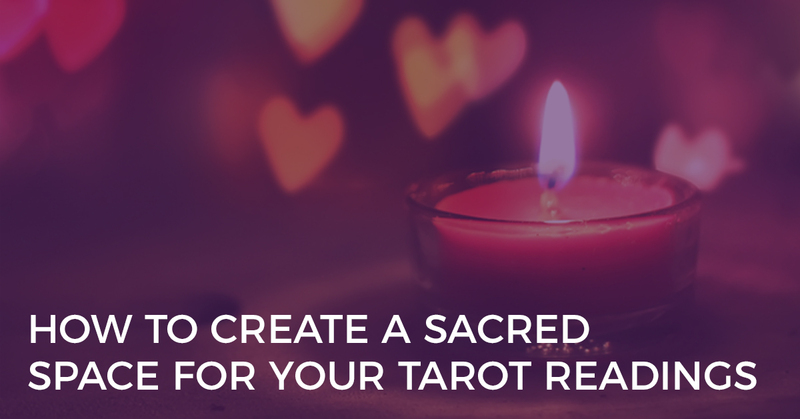 Do you run to your trusty Tarot deck when you’ve got a tough choice to make? I know that I certainly do. Over decades of consulting my deck in times that I needed direction, I noticed a number of helpful cards kept popping up. That’s why I made a list of the Top 10 Tarot Cards for Decision Making. You can read it here. Are you struggling to read Tarot for yourself? Don’t worry, you’re not alone! We created a free guide to help you. 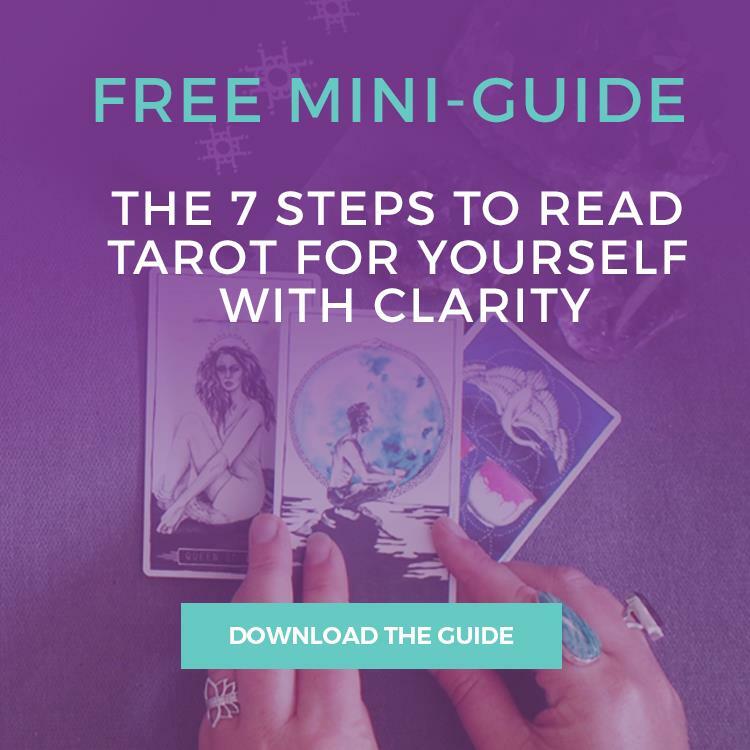 Download our 7 Steps to Read Tarot For Yourself With Clarity PDF now. 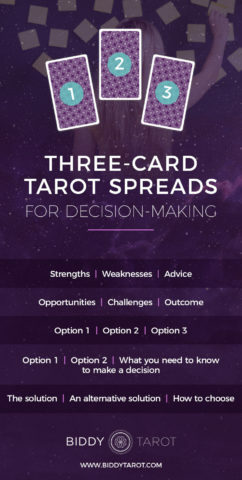 Reading Tarot with these 25 three-card Tarot spreads won’t just give you a quick Tarot reading – they will help you get to the heart of your question and give you the crystal clear insights you are looking for. And ultimately, that means becoming a better Tarot reader who can help more people with your natural gifts and talents. Looking for more spreads? You’re in luck! With the help of a few friends, I’ve created all different spreads to help you navigate your, year, life choices, relationships, and more. 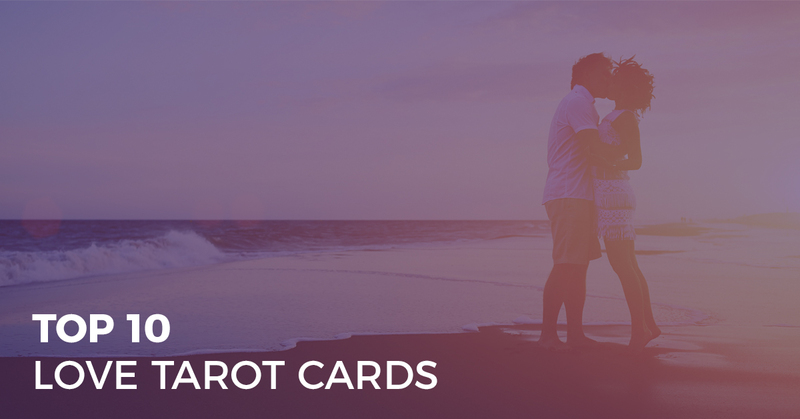 Check out the Tarot Spreads archives here.